Yes, indeed, you heard/read it right. A moment of silence for my and your feelings about Ubuntu on phones and desktop "convergence". Yesterday was 5th of April not 1st and it doesn't seem like a April fool joke. For sure I didn't see that coming and it is shocking to me as well. I believe in future somebody will try to implement the idea of "convergence" again and those will be lucky. I still think it can be somewhat possible but you should have what it takes, and it takes a lot, which we community don't have; Resources and time. We always look forward to the new release and we expect them to make great things for us but on the user side we don't do a thing to make this OS better, like programmers can give some free time to contribute to the project or if you can't program donate something to the project or help in any other way but We Don't and I guess very few of us did, that's why we are seeing this great thing dying. My reaction to see Unity8 dying is like 50/50, stuck between two emotions. I am happy and sad at the same time, we can debate on that. Why I am happy? Because now canonical can focus on desktop operating system and will make much better progress. On the other side, I am sad too because I loved/preferred Unity7 and was expecting Unity8 to be superior, desktop and mobile/tablet devices friendly but now non of these going to happen anytime soon. When Canonical announced the Ubuntu Touch for mobiles and showed a demo, I was quite happy and desperate to get Nexus 4 as soon as possible and try early versions of Ubuntu Touch, at that time Nexus 4 was the only mobile you could get Ubuntu Touch working. I followed along the development of Ubuntu Touch and I still have Nexus 4 as my secondary phone which I bought only to use/experience Ubuntu Touch (checkout my very first video - in excitement I forgot to remove screen protector came with nexus 4) and I did try Ubuntu Touch on my Nexus 7 (2012) tablet as well in 2013. Good old days. Well some people can/will fork it. But still it is not possible to continue development without huge resources, time and motivation (which we community don't have - "I guess"). 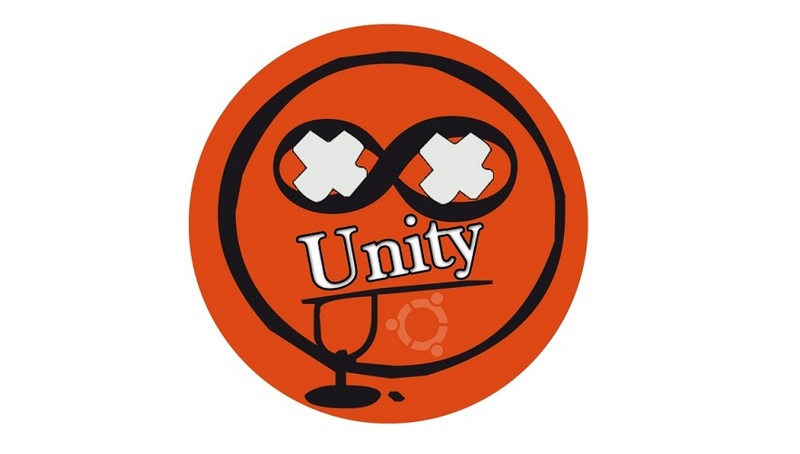 UBports is well known site for Ubuntu phone community and after the yesterday's news Marius Gripsgard posted on his G+ account "I will do my best to keep Ubuntu touch and Unity8 standing on both it's legs! It will be hard." Lets see how it goes and how long he can maintain these two projects, let the time decide, I can't give you false hopes. I wish canonical continue the development of Unity7 for many years but Gnome is a great desktop and it is around from a long long time and continue to evolve, I used and loved it too. Lets not forget about other awesome desktops too: Xfce, KDE, Cinnamon, Mate, LXDE; we still have great options to choose from depending on our needs. Also Mr. Shuttleworth mentioned "We will continue to produce the most usable open source desktop in the world." 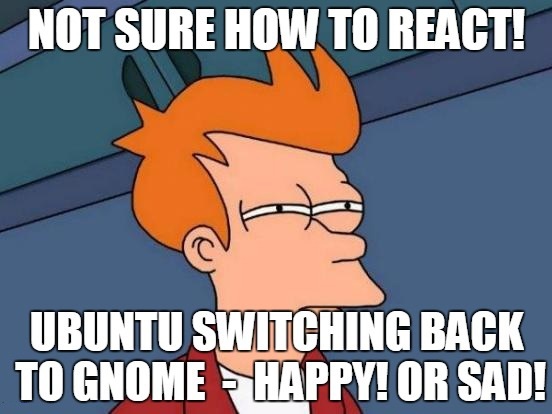 I wish canonical and Gnome project work together to make Gnome much better, so we can love it. Future of Ubuntu is still bright. Canonical will now focus on the desktop OS, cloud (LXD, Juju, MAAS, BootStack, OpenStack) and IOT (Internet of Thing) and Snappy technologies will make progress and get polished. Since Ubuntu is switching back to Gnome desktop, we will see Ubuntu Gnome project going away, well in my point of view that's not a big deal, what's the point of keeping a standalone Ubuntu Gnome project when we're already getting Gnome as default desktop. What will happen to MIR display server project? There are so many unanswered questions and I am looking for answers too. Let us know! what do you think about this whole situation.